There’s noting more disappointing than going to pick a squash and instead finding your squash plants in distress, destroyed by some unwelcome bug. But don’t worry: today we’re lookign at ways to prevent and/or get rid of these nasty little creatures. 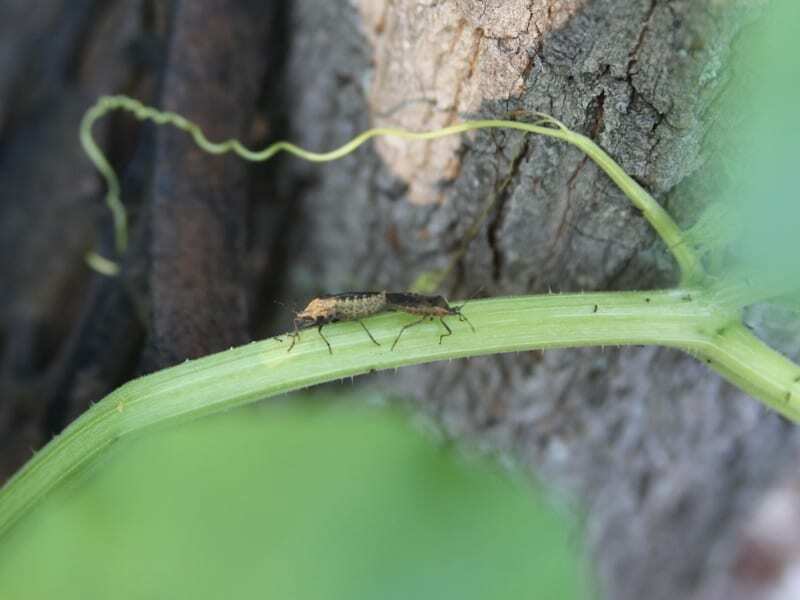 See which of these 5 suggestions might make the best natural squash vine borer treatment for your garden! You notice some leaves are dying and plant stems have holes in them. It looks like orange colored sawdust is coming out of the holes. Overall, the plants just don’t look right. What’s going on? 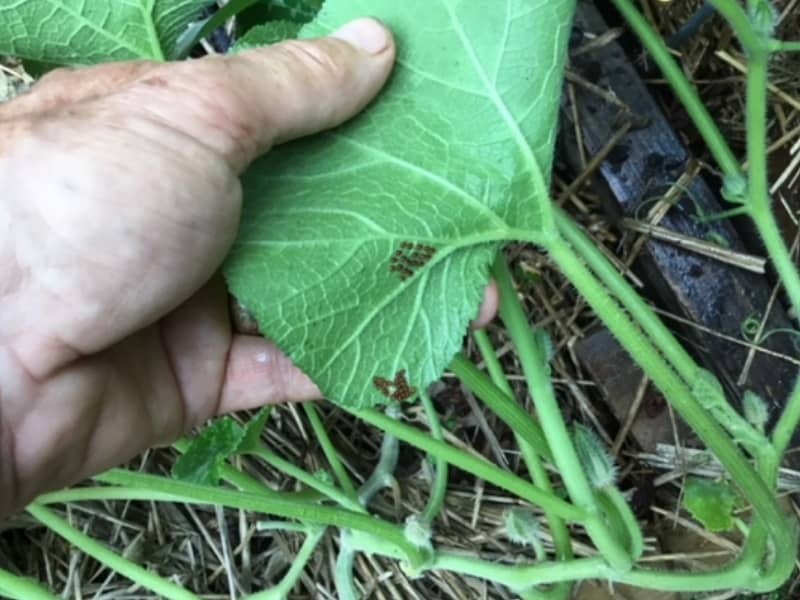 These are telltale signs that you have a squash vine borer problem. Using synthetic pesticides can harm your plants. They may make curious kids and pets sick. Those chemical poisons eventually leak down into the soil. 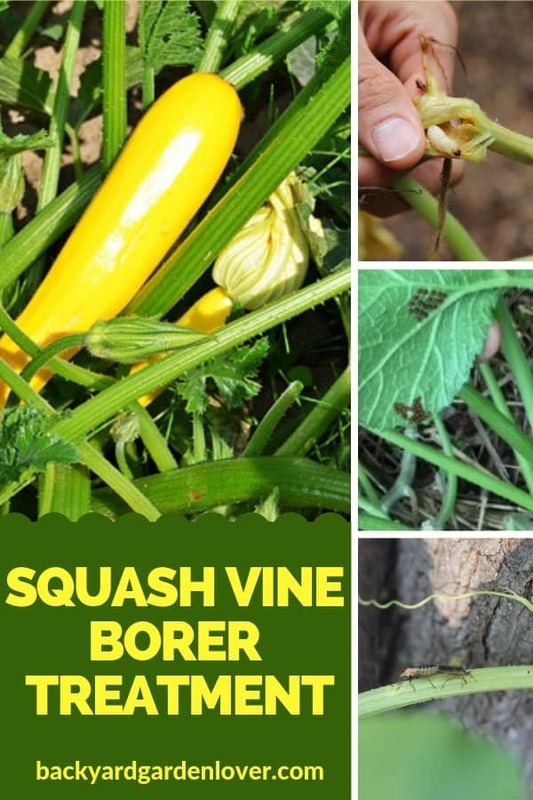 Many responsible gardeners like you and me turn to a natural squash vine borer treatment instead of chemicals for these reasons. Here are a few pesticide-free solutions to your problem. Wrap squash stems with mulch. Wherever the stem wanders, give it a mulch blanket. This makes it hard for the adult vine borer moth to lay eggs on the stems. Squash vine borer eggs are tiny, round, glossy and copper colored. They are usually laid one at a time and placed singularly. Any clusters will be loosely grouped. Eggs are laid on leaf stems and the bottom sides of leaves. Squash the egg or drop it into a container of soapy water. 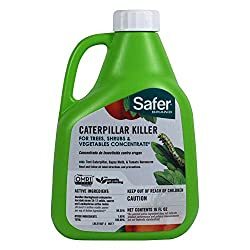 Safer Brand 5163 Caterpillar Killer II Concentrate, 16 oz Safer Brand 5163 Caterpillar Killer II is a natural, organic fix. It is OMRI certified. This means the Organic Materials Review Institute has found it organic according to USDA organic qualifications. It doesn’t harm birds, your soil, earthworms or beneficial insects. Spray in the morning or evening, as it dries quickly in sunshine. This safe, natural product also kills caterpillars, gypsy moth larvae, cabbage loopers and other garden pests. If you choose some other OMRI certified product, look for Bacillus thuringiensis (Bt). That is the naturally occurring bacterium that does the job. A row cover makes the perfect squash vine borer treatment. If momma moth can’t get to your squash, zucchinis and pumpkins to lay her eggs, she will look elsewhere. A row cover is a thin, lightweight cloth or fabric that you lay over rows of your plants. Row covers let sun, air and water get to your plants, but nothing else. If you see a leaf that is limp, dry or has a hole in it, you might have vine borers. If the rest of the plant’s leaves are fine, break the infected leaf off at the base of its stem. Problem solved. Zucchinis are summer squash the vine borer loves. This little pest doesn’t do nearly as much damage to butternut squash. He just doesn’t find them as attractive. Plant butternut squash and you likely won’t have as many vine borer problems. The Italian tromboncinos summer squash is also highly resistant to this and other critters. You can get tromboncino squash seeds on Amazon. 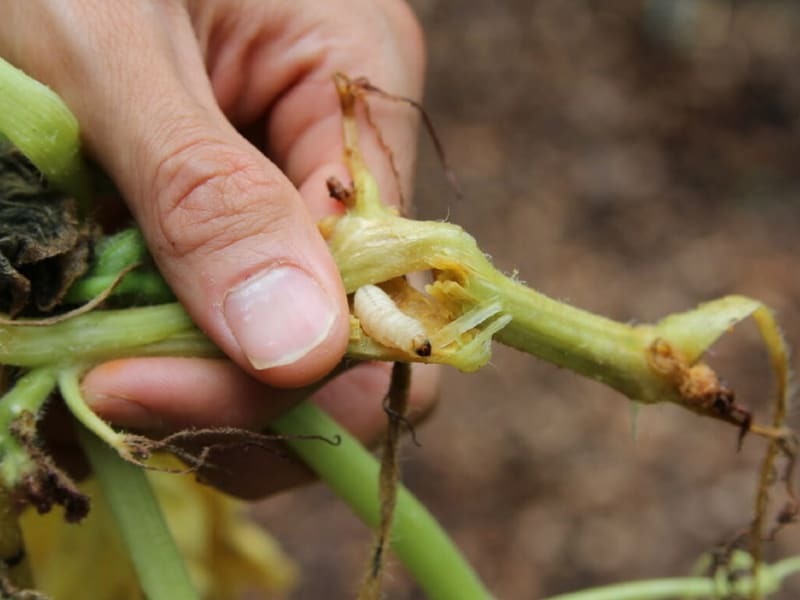 Learn more about how to control the squash borer from our friends at GardensAll.com. Vine borers will attack many of the 965 species plants in the Cucurbitaceae family, not just squash. Try these squash vine borer treatments if your squash, pumpkin and zucchini plants are under attack. They can keep your plants healthy and increase your yield. You won’t be using chemicals and pesticides, and that’s a good thing.